Paul Tuohy presented at NHMUG on Wednesday September 14th! It is with great excitement that we were able to host Paul Tuohy at the NHMUG meeting on Wednesday September 14th, 2016. Paul is a world renowned speaker and well known throughout the IBM i community. Many RPG programmers have used interactive SQL as a tool to quickly browse data or to create test data scenarios, but have stopped short of embedding it into their RPG programs. Come to this session to learn why, when and how you may want to use SQL in conjunction with RPG. We will cover the basics of embedding SQL into RPG, including using SQL cursors and a few tips on getting good performance from your SQL applications. You have been using embedded SQL in RPG. You have mastered the syntax, tried a few selects, declared a cursor, performed an update - you may even have tried some dynamic SQL! What tools should you use to write and test SQL prior to embedding it? At System i Developer we like to practice what we preach. The company web site is designed for and is served from a System i. An application is used to manage conference information which, in turn, is used to generate web pages. There are also interactive web pages that communicate directly with RPG programs (e.g. selecting your session grid and repeat sessions). AJAX provides a means of having a web page communicate with a server, either synchronously or asynchronously. Combined with CGI programming techniques (CGIDEV2 is used in the presentation), you now have a means of dealing interactively with a web page i.e. changing the contents of a web page without having to re-write the whole page. And best of all, it is already installed on every PC, all you have to do is use it!. ComCon is a company owned and run by Paul Tuohy. It specializes in consultancy, software development and training for the IBM i (System i, i5, iSeries and AS/400). Paul Tuohy has worked in the development of IBM Midrange applications since the '70s. He has been IT manager for Kodak Ireland Ltd. and Technical Director of Precision Software Ltd. As well as being CEO of ComCon he is also one of the co-founders of System iDeveloper, a consortium of top experts and educators on i technology. He has been teaching and lecturing since the mid-'80s. Paul is the author of "Re-engineering RPG Legacy Applications", "The Programmers Guide to iSeries Navigator" and the self teach course "iSeries Navigator for Programmers". He also writes regular articles for most of the industry publications and is one of the quoted industry experts in the IBM Redbook "Who knew you could do that with RPG IV?". As well as speaking at renowned RPG & DB2 Summit conferences and other conferences around the world Paul is also an award winning speaker at numerous US Common conferences. When doing an upgrade to IBM i, it's more work to plan the upgrade than to execute the upgrade itself. Once you have a plan, the actual upgrade is simple. Do you know what you need to upgrade to IBM i 7.3? What is the right size for the load source? How do i increase the licensed internal code? Which version of Java is compatible with the new release? Which console options are no longer available with 7.3? Do I have the correct set of disks for the upgrade? What do I need to do differently when upgrading from 5.4, 6.1, 7.1 or 7.2? Building a solid database foundation requires the use of modern design tools. Using the tools provided with IBM Data Studio, Rational Business Developer, Infosphere Data Architect and other bundled products, a Database Architect/Engineer can develop graphical data models; conceptual, logical and physical. In this session you will be introduced to SQL programming techniques that take advantage of advanced data centric development methods such as blocked FETCH and INSERT, extended indicators, ROW NUMBER, ROW CHANGE TIMESTAMP, ARRAY types, GLOBAL variables, , MERGE, result set consumption in host languages and dynamic SQL descriptors. We will discuss how to exploit these new capabilities to build advanced data centric applications based on concepts such as optimistic locking and stateless pagination. In addition, techniques on how to populate and access arrays in SQL routines will be discussed. Dan is an IBM Sr. Consultant and is a member of the IBM DB2 for i Center of Excellence team which is part IBM Rochester Lab Services. Dan has published several articles relating to IBM i performance analysis, database optimization and database reengineering. More recently he has done webinars and user group presentations on application development methodologies and database re‐engineering topics (e.g. DDS to DDL, RPG Open Access). Dan’s main role is to illuminate, educate and enable IBM i customers in how to take advantage of this remarkable system and it’s integrated, state of the art relational database. This presentation is for beginner to novice web programmers, or those who would like to understand the technologies and languages involved in a typical web application. Help RPG programmers and managers, with little or no web development experience, understand the major concepts and technologies involved in building web applications. Managers who would like to understand the major concepts and languages involved in developing web applications on IBM i. This presentation will cover some intermediate topics in PHP programming that you can use to go beyond the basics of PHP syntax and SQL selects, enabling you to create some useful business applications. Topics covered will include: logic for paging through large record sets, session management and cookies, easily creating CSV files from DB2 data and streaming them to the browser, and sending email with attachments and HTML formatting using Zend Framework. A basic familiarity with PHP syntax is assumed. While PHP allows for both a procedural as well as an object-oriented coding style, today most professional PHP application packages are created using object-oriented techniques. Why? – because this results in code that is more organized, easier to maintain and extend, with fewer bugs. This session will start with a review of PHP functions and data scope – concepts that are fundamental to understanding objects. It will then cover the basics of creating classes and instantiating objects. The concepts will be presented in the context of a real-life example: creating an HTML form input class, which can be used to build an input form for displaying and updating database record contents. We will also extend this class to handle more specialized classes for select and textarea tags.This is an introductory session on OO – – no prior OO experience is required, but a familiarity with PHP syntax and web application development is helpful. Would you like to be able to provide your users or customers with PDF reports and documents via a web interface? Looking for a low cost or no cost solution, involving minimal programming? JODReports is an open source solution that allows you to define report templates in a word processor supporting the Open Document Text (ODT) standard. You can easily design a document using Open Office Writer, and specify variable fields that can receive data from your IBM i applications. Single page documents such as invoices, order confirmations, statements, work orders, etc., as well as database reports are easily merged with data supplied as XML, and the resulting document can be retrieved as PDF, which can be delivered immediately to a web user to be viewed, printed, saved, or sent as an email attachment. You can also add simple scripting within your document to conditionally display parts of a document based on a test expression, repeat a document portion (e.g. a table row), and more. Setup is simple, and requires a windows server to run OpenOffice as a service, plus a Tomcat web server to run the JODReports jar file, both of which are free and easy to install. Come to this presentation and learn how to generate PDF reports and documents dynamically, with no licensing costs! In this session we will use a PHP script to call JODReports, but any language that can generate XML and can process an HTTP request/response can make use of this free tool. Growing up in New York City, John started his career in the NY area, but moved to Vermont in 1994 to raise a family and has been there ever since. John is also an accomplished musician, playing a variety of instruments and styles. Ted Holt Came to NH! Assertions have long been used in the Unix world. 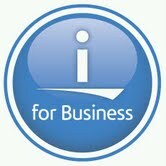 Now they are available in the world of i for business, and Ted Holt shows you how to put them to work for you.. Attend this presentation and add a powerful tool to your programming toolbox. In table-driven programming, a programmer specifies program logic in an array (also known as a table) instead of coding procedural control statements. 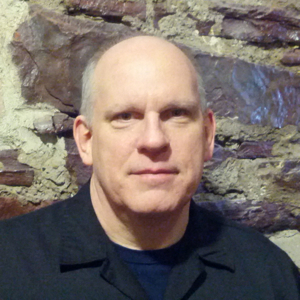 In this presentation, Ted Holt begins by contrasting procedural and table-driven programming. Next he walks through an example that demonstrates that table-driven programming can solve problems that procedural programming can’t. Finally Ted illustrates the power of table-driven programming by sharing a utility he developed using table-driven techniques. SQL is THE data access language. It runs interactively from green screens and System i Navigator. It's in RPG and COBOL programs, in ODBC and JDBC. It's ubiquitous, and it's everywhere, too! You can't know too much about SQL. In this session, Ted Holt presents an assortment of powerful, effective, and easily implemented SQL tips and techniques. These tips and techniques are based on DB2 for i, but many of them apply equally to other platforms. There's something for everyone, from the SQL novice to the advanced user. Come learn some new techniques and reacquaint yourself with some you may have forgotten. Ted Holt is a Senior Software Developer with Profound Logic Software, a provider of modernization solutions for the IBM i world. He has worked within the information technology industry since 1981, primarily with IBM midrange computers. His industry experience includes the fields of manufacturing, healthcare, education, retail, and wholesale. He holds a master's degree in computer science from the University of Southern Mississippi and has taught in community colleges, universities, and vocational/technical schools. Ted is the author of several books on programming topics, including OpenQuery File Magic!, Complete CL, Power CL, Qshell for iSeries and the MC Press Encyclopedia of Tips, Techniques, and Programming Practices for iSeries and AS/400. He is a regular speaker for the RPG and DB2 Summit and serves as technical editor and writer for Four Hundred Guru, a technical newsletter published by itjungle.com.